On November 4, 2004, the UCT Chancellor Mrs. Graça Machel awarded a trophy of a metalic head to President Mbeki for his “Outstanding Leadership in Africa,” and in special recognition of his handling of the explosive HIV/Aids pandemic. Most newspapers have reported that the recipient failed totally on this score, which would make this award rather hollow. President Mbeki however appears very happy in the picture, which shows him receiving the hollow head award from the hands of SRC president Nqobizitha Mlilo. (Cape Times 5 Nov. 2004, p. 3). But, did he know what he was receiving? Not at all! He had no idea what this ‘head’ was all about. All awards and trophies, whether in sport or politics, are designed to convey certain meaning related to the recognized and acknowledged achievement and are justified by a precedent or a certain history of their own. 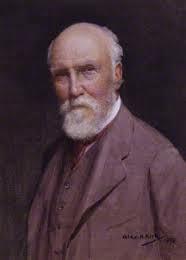 Thus the Nobel Prize refers to the Swedish discoverer of dynamite Alfred B. Nobel (1833-96), etc. In this case, the award consists of a rather ugly and poorly sculpted head mounted on a wooden box bearing an inscription. The official blurb, prepared for this occasion presumably by the UCT experts in this field i.e. the Department of Archaeology, and published in the UCT Monday Paper, informed the award givers and its receiver that this head was, on the one hand, “a bronze casting of a Lydenburg head” (being “the wax copy of the head modelled by UCT alumnus and sculptor David Brown”) and, on the other hand, “a brass replica of a Lydenburg head.” (UCT website www.uct.ac.za). This description leaves me, and should have left the readers as well as the recipient himself wondering whether the piece is a bronze sculpture imitation of the original terracotta hollow head or a true replica cast in brass. One can only speculate why the glaring discrepancy does not seem to bother either the makers, givers and the recipient nor the reporters, even though this award giving was an historical event without precedent and it involved the highest-ranking person of this nation, the President of this country himself. The most likely explanation is that neither of them actually knows what was the origin and what is the meaning of this rather imprecisely “modeled” and equally unsightly metallic head. The confusion is further heightened in the website’s explanatory box where the same ugly head is described as the “highest honor” received by Prof. Daya Reddy as “The Order of Mapungubwe (Bronze) from President Thabo Mbeki.” Just to straighten up the geography and the subject of the awards: Mapungubwe is located in the Limpopo Province 412 km ENE of Pretoria and The Order of Mapungubwe is represented by a one-horned Indian rhinoceros worked in gold with a typically Indian craftsmanship and found on the Mapungubwe Hill by E.S.J. van Gran’s party on 1 January 1933. Lydenburg, where the original of the hollow head awarded to President Mbeki was found by Karl von Bezing in 1956 or 1957, is situated in Mpumalanga 238 km ENE from Pretoria. 341 km separate the two locations and one would like to think that not even a blind person could confuse the Indian golden rhino from Mapungubwe with the ugly and hollow clay head from Lydenburg. The archaeology experts at UCT, who must have been involved in the design of the two awards, managed to confuse the two exposing thus South Africa and its President to public ridicule. Unfortunately, the glaring ignorance and confusion of history does not end here. The original Lydenburg head (one of seven) is said to have been carbon dated “at between AD500 and AD800.” In reality, the carbon used in this pseudo-dating was excavated from a 650 mm deep pit in a donga while the clay heads were found on a heap on a flat, uneroded and gently sloping surface at a considerable distance from the pit. This discrepancy does not prevent the UCT experts from claiming that “the Lydenburg heads are the earliest known forms of African sculpture in southern Africa” and that “they testify to a complex aesthetic sensibility among the early agricultural communities in Southern Africa.” No such testimony can be derived from this misdated and misinterpreted ugly clay head because we have no evidence whatsoever of the so-called “African” (meaning black, Bantu-speaking) population inhabiting the Mašišing area at that early date. These heads are ‘hollow’ as far as the pre 19th century history of South Africa is concerned and the award represented by one of them is equally hollow. For nobody seems to know any history connected with these heads. The manipulative handling of their origin and attribution is typical of today’s academic disregard for the norms of objectivity in the treatment of Africa’s historical heritage, and neither the maker or giver, nor the receiver of the award is able to recognise the deceit of which they are the victims. The deliberate corruption of African history in the name of the misguided political correctness, which we are here witnessing, can only bring disgrace and ridicule upon South Africa. “Replicas of this head will be awarded to recipients of the UCT Chancellor’s Award for Outstanding Leadership in Africa,” says the official blurb, and there can be no doubt that in time this award will become known as ‘The Hollow Head Award’. Parts of Africa are facing an unprecedented threat from illegal poaching, with criminal organizations and terrorist groups seeking to profit from the growing demand for products such as ivory and rhino horn. 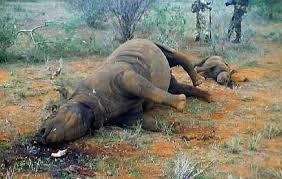 There is evidence that terrorist organizations such as al-Shabaab are now heavily involved in the illegal wildlife trade, converting poached products into cash which will purchase weapons and fund terror campaigns across the continent. 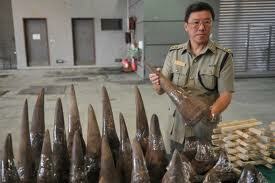 Overseas demand and the growing Asian economies have established a wealthy consumer base, keen to purchase rhino horn powder which currently has a higher market value per pound than gold or cocaine. 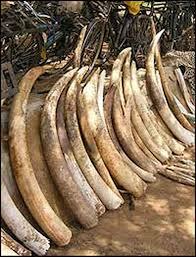 Ivory is also much sought after with the Elephant Action League (EAL) labelling it “The White Gold of Jihad”. 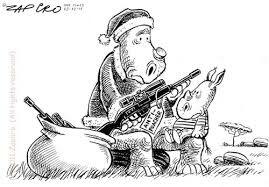 The EAL suggests that as much as 40% of funding for al-Shabaab comes from trade in ivory and rhino horn and so the onus is on governments to tackle the problem as much from a security perspective as one of conservation. The illegal trade prospers in areas where there is weak law enforcement and corruption, and even more so where police and customs officers are lacking in the training and resources to effectively combat the often sophisticated poaching operations. 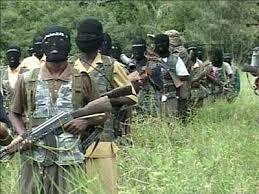 Al-Shabaab attacks continue. 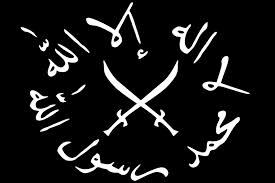 The spotlight on al-Shabaab has intensified since the recent bombing of the Westgate Mall in Nairobi, in which at least 67 died and many more were left with serious injuries. The group has since struck in Somalia with a suicide attack on 19 October killing at least 13 and injuring ten others at a restaurant in the city of Beledweyne. The explosion took place near to a military base in the city which is under government control and patrolled by peacemakers from the African Union. 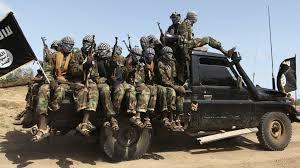 The al-Shabaab group has shown itself capable of hitting a range of targets including political targets, military forces and recreational spaces popular with foreigners. To do this, a steady stream of funding is required and this is where the profits from poaching are increasingly central to al-Shabaab operations. In countries such as Sierre Leone and Senegal, a combination of al-Shabaab and other criminal and terrorist organizations is driving some wild animals to the point of extinction. “The ivory trade is just the same as the previous [blood] diamond crisis in West Africa.” How the poachers work Many groups involved in poaching are well-resourced and well-organised. They appear to be able to easily slip past the rangers who are in place to protect rhinos and elephants, and are armed with powerful weapons such as AK-47 assault rifles. In many areas law enforcement officials turn a blind eye or are paid off, and even poachers who are caught often receive minimal sentences. A lucrative business. 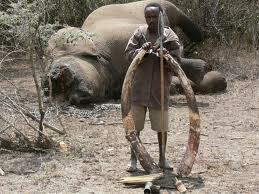 The mathematics of the ivory trade make it an attractive proposition for al-Shabaab. Ian Saunders, director of the Tsavo Trust, gave testimony to the US Congress last year and stated that the ivory from the slaying of one elephant would have been enough to fund the 1998 attack in Nairobi and that the current wholesale price of ivory could comfortably fund a number of further operations in East Africa. A number of ports in Somalia are still under the control of al-Shabaab and this along with the porous border that it shares with Kenya means that it is relatively easily to smuggle contraband out of the organization’s base. The ports of Mombasa in Kenya and Dar es Salaam in Tanzania are also used regularly to export ivory as officials are simply unable to stem the flow of the illicit material because of manpower shortages. For many people, the illicit trade in rhino horns and ivory remains primarily a conservation issue and protecting these animals from extinction is still a concern for governments and non-governmental organizations. However, the growing understanding of the links between poaching and terrorism is slowly bringing about a change in focus on this issue. three-year initiative to combat rhino poaching in Kruger National Park and test anti-poaching tactics that can be applied in other regions of Africa. The donation was announced by the foundation, together with the Nature Conservation Trust, and SANParks at the Rosebank office of Standard Bank, which has undertaken to provide favourable banking fees and interest on the funds. The funds will support an initiative in Kruger that will create an Intensive Protection Zone (IPZ) using sophisticated detection and tracking equipment and infrastructure on the ground and in the air, combined with elite canine units and highly trained ranger teams. Kruger’s IPZ will also serve as a testing ground to inform targeted efforts to combat poaching in these other African regions. “The scale, complexity, and strategic value of this initiative is truly unprecedented for SANParks, and we believe will be transformative in our ongoing efforts to address poaching and the decimation of the rhino population in Kruger National Park,” said SANParks CEO, David Mabunda. 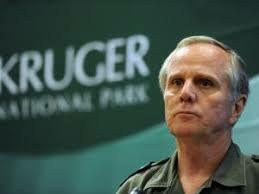 He added that the lessons SANParks hoped to learn could be shared across the continent. 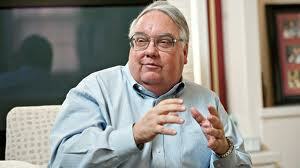 “We would like to assure you, Mr Howard Buffet, that we are determined not to lose this fight. We as South Africa certainly do not intend to capitulate and lose the battle for the survival of key members of the iconic Big Five,” said Minister of Environmental Affairs, Edna Molewa. “We hope that your donation will spur more philanthropists to get involved in such a worthy cause. 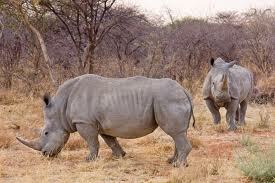 The rhino of South Africa are important to the whole world,” she added. Kruger is home to over 40% of the world’s remaining 22 000 rhinos and the largest single population of rhinos in the world. 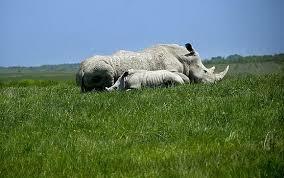 Since January 2010, 1 383 rhinos have been poached from the park. 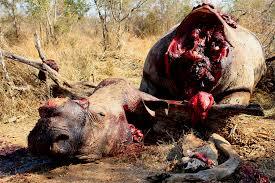 More than a thousand rhinos were poached in 2013 and 172 have been poached since the beginning of 2014. …and now for an immediate comment on the same issue ! 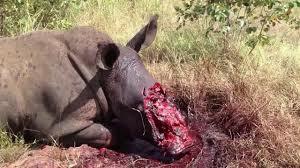 Funding the plan that Sanparks has to combat rhino poaching is a waste of time. The killing will not stop because the way they go about it is WRONG!! 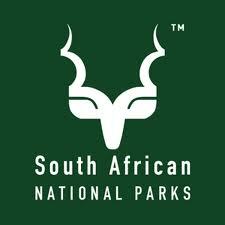 You hear me Sanparks! WRONG! The poachers are laughing at you. You are trying to fight an enemy that is 10 steps ahead of you. They know your tactics before you even know what to do. They are smarter than you. Your first mistake was to think they are a bunch of uninformed, unintelligent, unorganized criminals! They are NOT! A chopper! Really! Why not just walk around in the bush with a loud speaker screaming: “Here poacher poacher!” They know when that damn chopper starts it engine. 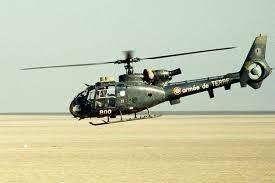 Then they go to the nearest pub and wait till the whirly bird runs out of fuel! Why not fund a group that had a plan to effectively combat poaching and trace it to the source with the help of international agencies? Why not fund the group who’s plan got rejected because death threats were received from said poachers? 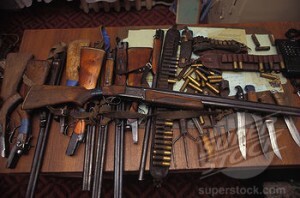 …because it was going to work and the plan was 10 steps ahead of the poachers plans!Here is the best part of it all! All funding would have gone to operational use! Not private parties to celebrate the generous donation. Oh, wait my kid has to go to overseas private school. Oh, and wait first have to give JZ some coin for his resort so that I can be invited to. What money? What money? Only $1 million left! 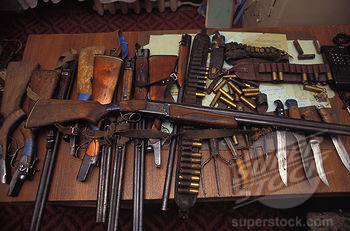 Just give the rangers some guns and approve my cousins’ tender. Awesome! Giving to a great cause… yes! $25 million would have sustained the correct operation for 5 years or more! 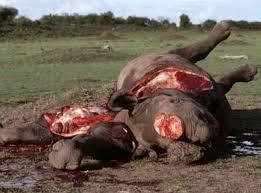 Would have been better for you to buy a few rhino’s and ship them to a private reserve in the USA. That would have been giving to a great cause. I am just so tired of how all these half cocked efforts promise a solution and then get funded and finally just disappear or make for a shameful read in the papers, while the groups like myself sacrifice 2 years of our lives for research, planning, developing counter intelligence tactics, research and develop the proper equipment to fight the poachers and pull out the whole weed from its leaves to its roots. What did we get!? Death threats and government stone walling us to the point where we needed to carry on with our lives and accept the truth! 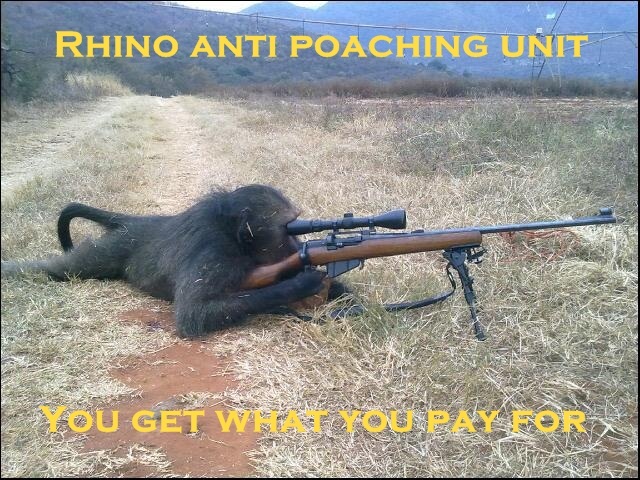 Proper solutions will never get funded because some one makes a profit from the poaching. Half cocked solutions will get funded because they are focused on publicity, increasing the funders community standing and will not harm the man making the profit from the poaching. That said I wish all of you good luck and that this funding will allow me to show my children a rhino in the wild one day. 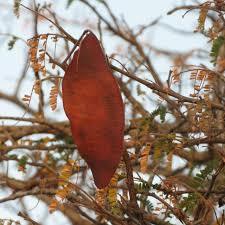 As you walk down the board walk at Lower Sabie rest camp you skirt a sturdy Broad Pod Albizia. 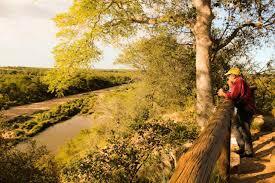 They occur in most parts of Kruger but there are more in the southern part of Kruger; especially along the Sabie River. 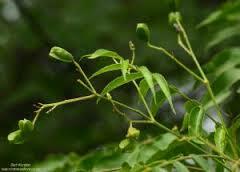 Albizias have feathery leaves like acacias, but no thorns. 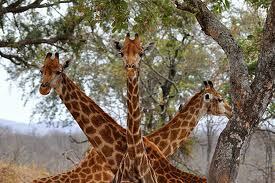 They also have a single trunk with branches that droop down. The pods are distinctive and are much bigger than those of other Albizias. They also remain on the tree for a longer period. They do not burst open even after they have fallen to the ground, and present themselves in February. The flowers are smallish, white pincushions, appearing with or after new leaves in October and November. 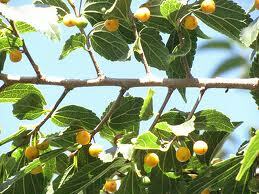 The leaves are utilized by elephants and other browsing game. Albizia forbesii can become a large spreading tree reaching up to 20m in height. 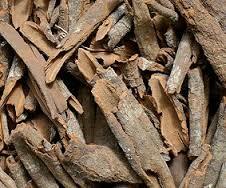 The bark is from smooth to a roughish grey with the trees thriving along streams and river banks in fringing forest. 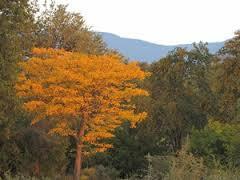 Albizia is named after an Italian nobleman Filipo Degli Albizzi, who took the plant to Europe. Forbessi is named after the naturalist collector who died of malaria in 1823. This book is avaiable for purchase from us for R260.00 excluding postage. The Broad Pod Albizia (Breedpeulvalsdoring) Tree is available for purchase from the Kruger Park Indigenous Tree Nursery near Skukuza. The Bobbejaankrans Viewpoint is on the dust road more or less following the curves of the Timbavati River about 19km from Orpen Gate, on the alternative route to Satara Rest Camp. Relax while sitting on a sturdy bench in the shade of a beautiful White Kirkia (Seringa) tree as you enjoy the river scene below. White Kirkias are the models of the Bushveld with tall straight trunks and elegant proportions, with a fine, round, leafy crown. 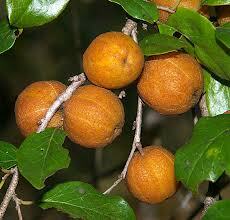 The genus Kirkia is named in honour of Sir John Kirk, a famous explorer and naturalist. The specific epithet acuminata probably comes from the narrowly tapering apex to a long point (acuminate). It grows from 6 to 18 m high with a trunk diameter of 0.8 m.
The leaves are sticky when young, colouring splendidly to gold and red in autumn. 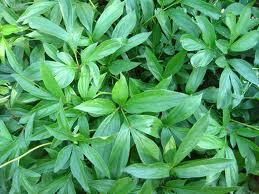 The leaf is compound with 6-10 leaflets and one terminal one. The narrowly ovate leaflets are 20-80 x 10-25 mm, with or without hairs. The apex is narrowly tapering to a long point. 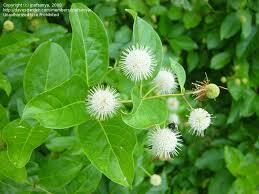 Kirkia acuminata flowers from October to December with small greenish cream flowers. 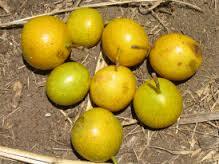 The fruits are thinly woody capsules of about 10-20 x 6-10 mm that are 4-angled, and split into four seed pods when mature. Each seed pod contains a seed. The wood is yellowish brown, light and soft. 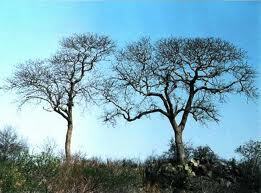 White Kirkia (Seringa) trees adorn the rocky ridges and hills in Kruger, yet are also found in the open dry Bushveld. 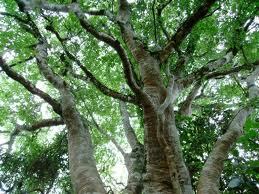 The White Kirkia (Seringa) is regarded as a sacred tree in some places in Zimbabwe. 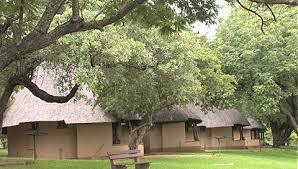 The Zimbabwean women also use the bark of the tree for weaving. In Gauteng, it is planted around enclosures for livestock (kraals). 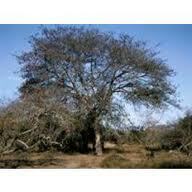 The White Kirkia (Seringa) Tree is available for purchase from the Kruger Park Indigenous Tree Nursery near Skukuza. 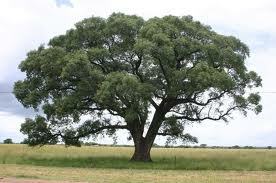 The White Stinkwood must be one of the best known trees in South Africa. Ask any nurseryman for a fast growing tree for the Gauteng Highveld that is able to withstand frost, and the the answer will be: White Stinkwood. Growing as an individual tree in the open under favourable conditions, Celtis africana is a tree of medium height, typically up to 12 m or so. It then usually forms a dense, hemispherical canopy. The bole of a mature tree then is thick and buttressed, often forked fairly near the ground. In forest it may grow up to 25 m tall, with a single, clean bole, though such large specimens usually are more or less buttressed too. The tree is deciduous in the drier, frostier interior of its range in Africa, but semi-deciduous nearer the coast; in areas with wetter, milder winters it commonly retains its old leaves till after the spring. The new leaves are bright, fresh green and hairy on the upper surface; they turn darker green and become smoother as they mature. The inconspicuous, small, greenish, star-like flowers appear in early spring (August to October). Male and female flowers are separate, but they are produced on the same tree. Various insects pollinate them such as the honeybee. One almost feels that the White Stinkwood belongs in the urban landscape because the tree has been planted extensively in gardens, parks, and along streets in towns and cities. The tree is sometimes cursed by gardeners because it sheds all its leaves in autumn and sows itself abundantly in the spring after the first rains. 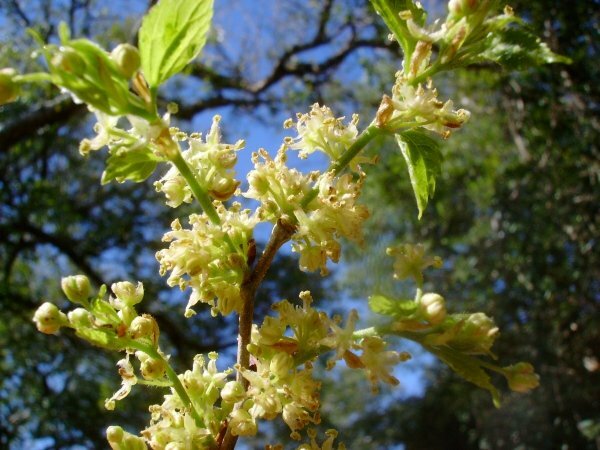 However the White stinkwood is an indigenous African, occurring from Ethiopia to the Western Cape, while being equally at home in town and veld. 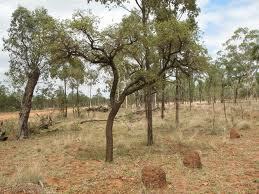 In Kruger the white stinkwood grows in the veld in the vicinity of Pretoriuskop rest camp only. However there are three White Stinkwoods in the reception area at Berg-en-Dal rest camp. The characteristic features of the White Stinkwood are its smooth light grey trunk and of course, the beautiful round crown which make it such a popular urban feature. Kudu, nyala, bushbuck, impala and grey duiker browse the young branches and leaves. Fruit eating birds such as grey louries enjoy the berries, as do baboons and monkeys. 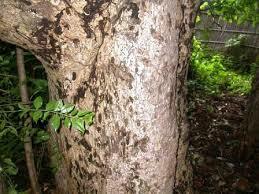 The name Stinkwood refers to the the somewhat unpleasant smell of freshly sawed wood. Gleaned from the pen of Marissa Greeff in her book A Site-by-Site Guide to Trees in KRUGER NATIONAL PARK. This book is obtainable for sale from us at R260.00 excluding postage. 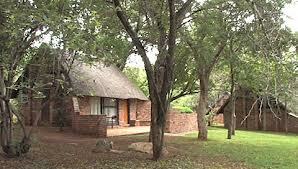 The White Stinkwood tree is obtainable for sale at the Kruger Indigenous Nursery near Skukuza. A magnificent Quinine tree stands in the Berg-en-Dal rest camp in the reception area between the retail shop and take-away restaurant. 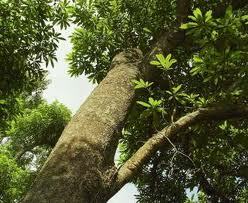 Its tall erect trunk can be admired as it towers above the surrounding buildings. High-branching Quinine trees grow up to 30m tall and are very ornamental with glossy, bright green leaves, displaying a dull, pale, grey shade beneath. 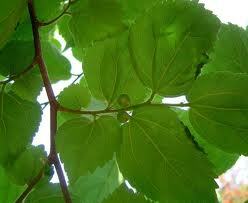 The leaves characteristically grow in whorls of three to six at the end of branchlets. 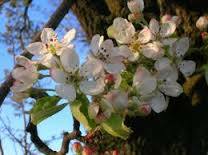 The tree bears small, fragrant white flowers from the end of September to November. Quinine trees always grow near to water. Should you spot one some distance away from open water, you can be sure it is a sign of subterranean water. They grow all over Kruger but are more prevalently abundant in the Pafuri area. Nyala browse the leaves while vervet monkeys eat everything – leaves, flowers and seeds. Fruit-eating birds like hornbills, barbets, doves and bulbuls feast on large berries which are also favoured by bushbabies. 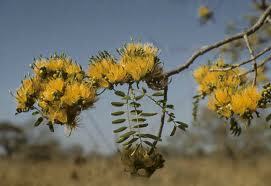 The Latin name is Rauvolfia cafra. Rauvolia being derived from the surname of a 16th century medical doctor from Augsberg in Germany named Leonart Rauwolf who was a collector of medicinal plants. 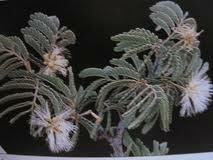 The Quinine tree has many medicinal properties and is widely used in traditional medicine, the bark and rootes were extensively used to treat, among other diseases, malaria. A Site-by-Site Guide to Trees in the KRUGER NATIONAL PARK. This book can be purchased from us for R260.00 excluding postage. 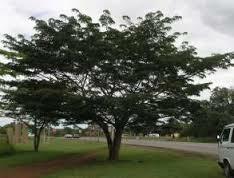 The Quinine Tree is available for sale at the Kruger Indigenous Tree Nursery near Skukuza.